This is a church I revisit every five years or so, but I've never found it open, and although keyholders are listed today, I've never found one of them in. Consequently, it remains one of the few East Anglian churches that I've never seen inside. Coming back in February 2018, it was, for once, on a sunny day, for looking at photographs I've taken here on previous visits I usually manage to tip up in the rain, which probably does little to improve my mood. 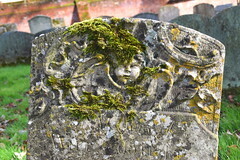 The churchyard is a good one, uncleared by motor mower enthusiasts and consequently a good resource of 18th and 19th century headstones. 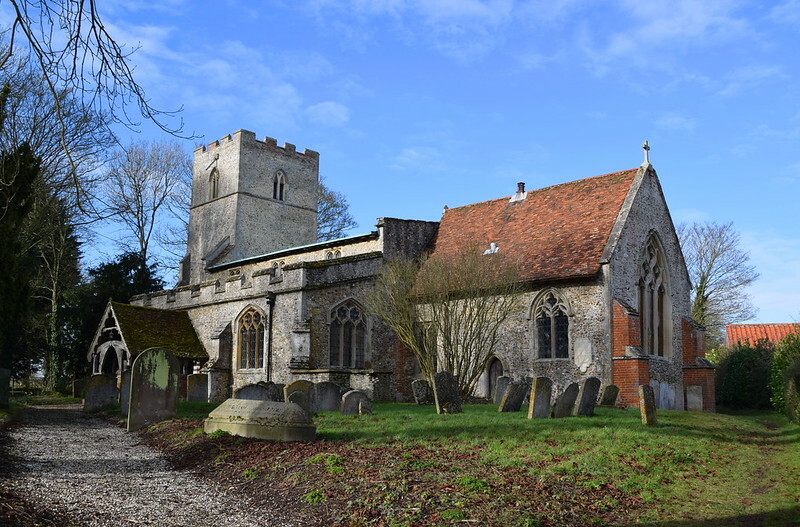 And the church is worth an explore on the outside even if you can't go in, for although it is fairly small, St Margaret has the full late medieval works, two aisles and a clerestory, as well as nave and chancel. 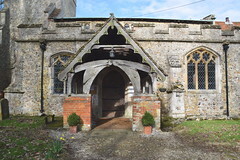 Externally, it looks rather curious, because of the nave roof, which is almost flat, as at nearby Kedington. Rather charmingly, a chimney sticks out of the ridge of the chancel roof as if it wanted to be a sanctus bell turret. Inside, I am told there are 16th century benches, a 15th century font, and the outline of a St Christopher on the north wall. Hurry up and see them if you can, for It is in places like this that the Church of England is shrivelling up and dying, and one wonders who will care for this dear little church in fifty or a hundred years time. Above the village stands the bulk of Highpoint prison, the area's largest employer. Here, the Newmarket to Clare road crosses the one from Bury to Haverhill, and it is hellish, particularly if, like me, you had been cycling a meandering route through narrow lanes for the last thirty miles. The cars race through, way over the speed limit. It would simply not be possible for children to walk around without danger here. It occured to me that my children were much safer playing out on the streets where we live near the middle of Ipswich than they would be here.